In the 1930s, a certain type of comedy was established: the screwball. That distinguished the screwball comedy in its form was rapid dialog – the record was probably set in Bringing Up Baby (1938) – and occasional slapsticks. Screwball is American slang for a very eccentric person and the word eccentric is a pretty good characteristic of the screwball comedy. Cary Grant and Irene Dunne in The Awful Truth. The story in screwball comedies is often repeating a theme with a woman and a man that seems to not get along, but in the end finds out that they were made for each other. This can be seen over and over. 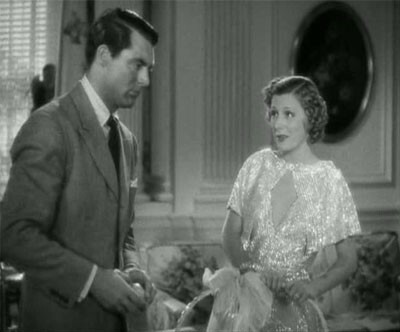 In The Awful Truth (1937) the plot begins with a bitter divorce between Lucy (Irene Dunne) and Jerry (Cary Grant), but they will eventually realize they can’t be apart for too long. Another example is His Girl Friday (1940) in which one of the main characters (Gary Grant) is about to get married, but happens to get aware of Susan (Katharine Hepburn). This is hardly an original feature in a film and there are of course more ingredients. 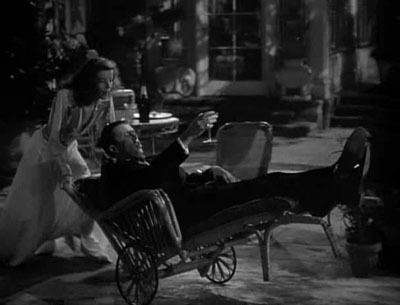 One important issue is the companionship between the pair and not just a love affection, as Tina Olsin Lent writes in her essay Romantic Love and Friendship: The Redefinition of Gender Relations in Screwball Comedy: “The screwball comedy adapted the new ideal love relationship, referred by a contemporary writer as ´love-companionship´”. In Noting Sacred (1937) Hazel Flagg (Carole Lombard) and Wally Cook (Fredric March) are companions in a ploy, but it is, on the other hand, only Hazel that knows about it. The screwball comedy also gives a lot of attention to the woman and the female part. In movies like Nothing Sacred and His Girl Friday the females in the leading roles are at least as important as their male counterparts. The women are also equal to the males in a matter of not being passive and just adorable, but full of intelligence, vitality and also often the source of the jokes. Tina Olsen Lent points out that the female tasted dictated the content in popular media in the 1930s. So essentially screwball is a romantic comedy, but has some specialties of which some have been mentioned in this article. Lena Olsen Lent concludes that: “screwball comedy [is] built upon three major sources: a refined image of woman, a refined view of marriage and a refined idea of cinematic comedy”. Romance in playful style in The Philadelphia Story. The masterpiece The Philadelphia Story (1940) includes very typical screwball distinction. For example, when Gary Grant's character severe, but rather playfully push down Katharine Hepburn's character on the floor. This movie owns also the typical intrigue pattern with a woman that should be married, but got her feelings challenged by the appearance of her old love. However, The Philadelphia Story does not share the hysterical dialogue or slapsticks in His Girl Friday. In other words, The Philadelphia Story is much more refined than fast. In the history of film the era of screwball comedy used to be dated approximately from 1934 with the landmark It Happened One Night to the beginning of the 1940s. A list of movies that can be categorized as screwball in chronological order – the list does not intend to be complete.